Why do pregnant women always think they will get tons done during their maternity leave? I’ll be home, they say, I can organize the kitchen, look for a job, find the perfect table for the living room, all while taking care of the baby! No problem! Ha! 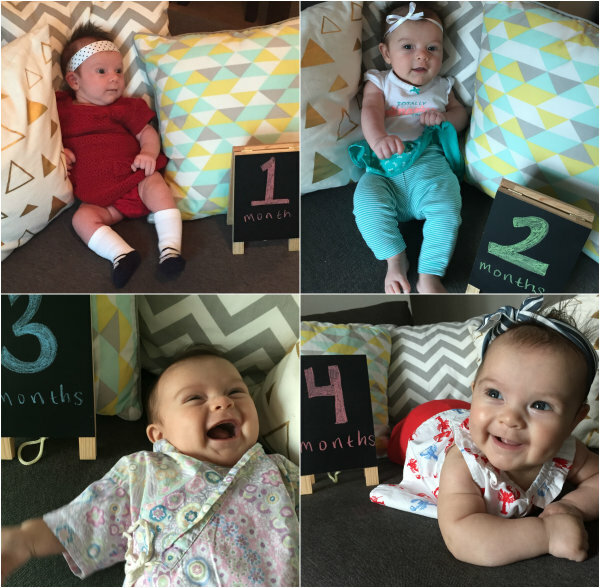 At four months, and with tons of help, I barely have to eat somedays (and I don’t even have to cook it!). My little girl is wonderful– happy, playful, alert, a good sleeper at night (naps we are still working on), really a delight. And even when I just do feedings, that’s still at least 6-7 hours of my day right there. Lovely, sweet time, but time none the less. Time I wouldn’t give up for the world, but will have to when I go back to work. If you want to see how I’ve spent the last four months, here’s a peek. I still have plans to post more regularly. Is that a pipe dream? I haven’t posted much lately and I’m sorry for that. I have so many ideas that I want to share– and not the energy to implement them. But here’s the reason behind my radio silence — we are having a baby! I’m not going away, by any means. I still have tons of parties in me! I hope you can be patient with me as I make this life transition. Hi! I'm Sara. I am an experienced event planner. I have stage managed theatre, opera and dance, managed over 1,000 events for a major entertainment company, and organized non-profit events and balls. Let me share my insights with you! I've lived in numerous cities, including New York, Washington DC, Los Angeles, Orlando, Shanghai, Hong Kong and currently live in Singapore. Are you are interested in my events services? Anything from inspiration boards to full event logistics! Want to advertise on Event Lucky? Ad spaces are now available for booking. Do you have an event, tip or trend to submit?